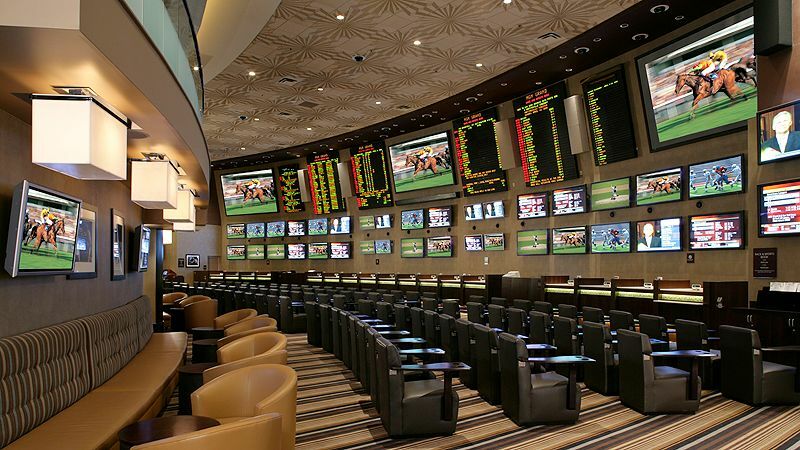 Las Vegas has some of the most equipped sportsbooks in the whole nation. Bettors searching to bet using the best equipped sportsbooks will have a lot to choose from. The most equipped are located at Sunset Station, Red Rock, Sam’s Town, Green Valley Ranch and Paris. These allow bettors the widest range of equipment, whether they are regular TV’s or Big Screens. The one drawback is that some of these casinos do not have a lot of seating to accommodate everyone. Wynn has 204 TV’s, but only 135 seats. Sports bettors will discover some good most equipped sportsbooks at South Point, as well as Texas Station, Bellagio, Bally’s and other great casino properties. Bettors can take their pick of individual screens at their seat or choose to watch the big screens. There are central betting kiosks. The Venetian has a great selection with 149 TV’s. Caesars Palace has 93, but very comfortable. There are others with average number of TV’s like The Palazzo with 101. MGM Resorts properties seem to have a high average of equipment, and they serve as great locations for bettors. They have a good number of regular TV’s and big screens. Boyd Gaming properties around Las Vegas also have a good amount of TV’s as the other casinos. Las Vegas Sportsbooks Guides: Largest Overall, Top and Newest Sportsbooks locations.